Have you ever had those moments with friends, family, or colleagues when you can actually feel the warm energy of inspiration and empowerment envelope you like a new cashmere sweater or a familiar blanket? 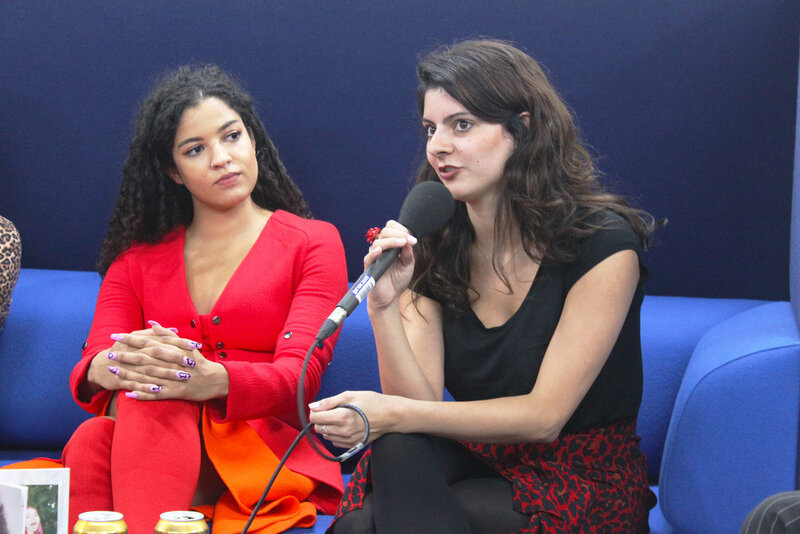 That’s exactly how I felt as I sat in the vast, welcoming space of 50M London last Thursday night, as the four main contributors to Sister Magazine’s latest edition, The Sound Issue, led a panel moderated by Editor-in-Chief Rebecca Jane Hill. 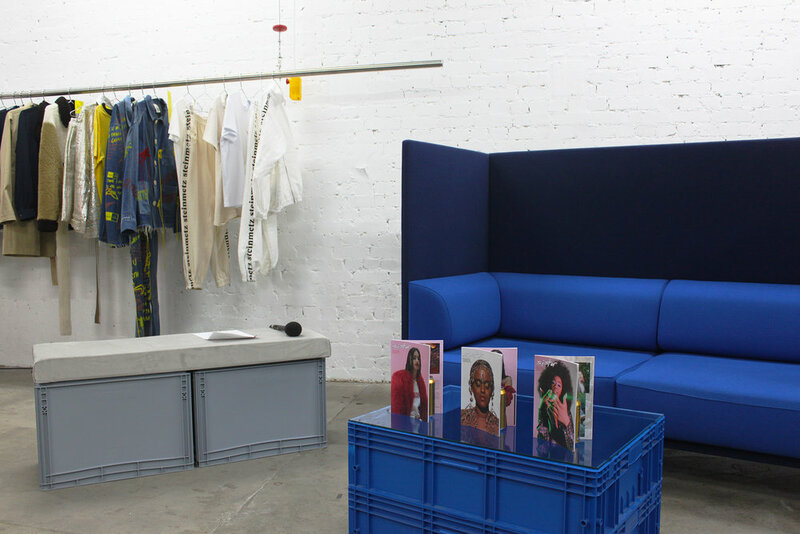 Against a backdrop of luxury pieces from Faustine Steinmetz’s 2018 collection and with aesthetically-pleasing beer in hand (complimentary of VICE’s recent refreshment company, Old Blue Last), the creatives talked about the three cover stars gracing the pages of the print magazine (Amika George, Seina Bosey, and Chidera Eggerue), spearheading activism within the fashion and media industry, and the innovative ways in which they all encourage inclusivity and representation in their work. The hour-long talk didn’t seem to be headed towards one destination or topic of conversation. The speakers, Jamie Windust, Deeba Syed, and Jaime Javir, instead took the entire audience on a long-winded, directionless route navigated by intuition rather than a map, hitting personal topics such as sexual assault and moments of laughter like when Windustt unabashedly made fun of Melania Trump. It was obvious from the get-go that this was going to be a fun night, thanks to the extremely diverse group of panelists. Windust, a 20-year old non-binary activist was clad in their everyday uniform of white and pink powdered makeup, bright red glasses, colorful lips, and buffet of “mismatched” prints and textures (and if you don’t believe they slay the game like this every day, give their Instagram a quick peek or follow). The young editor didn’t hold back on their thoughts about the current state of activism, criticizing cis people for thinking they’ve effectively contributed to the resistance by going to pride and taking a selfie. And talking about these sensitive topics seemed to be a theme of the night. Deeba Syed, a political campaigner for the U.K’s Labour Party, wrote about navigating the political world as woman for The Sound Issue, which she revealed was inspired by her own experiences with sexual assault when working in Parliament. “There’s no way I would’ve come forward about my own story of assault had it not been for the Me Too Movement,” she said. Stylist Jaime Jarvis also made it clear that political concerns aren’t constricted to government or activism-based jobs, but that working on the creative side of the marketing industry begs the question of what authentic inclusion and representation looks like in the 21st century. Jarvis cited companies such as TopShop who capitalize off of trending buzzwords such as feminism but don’t actually incorporate those ideals into their work (Topshop recently made headlines when the head of their London store dismantled a pop-up in support of Scarlett Curtis’ new book “Feminists Don’t Wear Pink And Other Lies” just 20 minutes after it was set up). As the panel finally wrapped up after an hour of activism-talk and not-so-subtle jabs at the current administration, I walked out of 50M into the cold brisk air of London cacooned in the warm envelope of Sister Magazine’s creative energy. Swipe through the slides below to see a visual recap of the night. And check out Sister Magazine here.